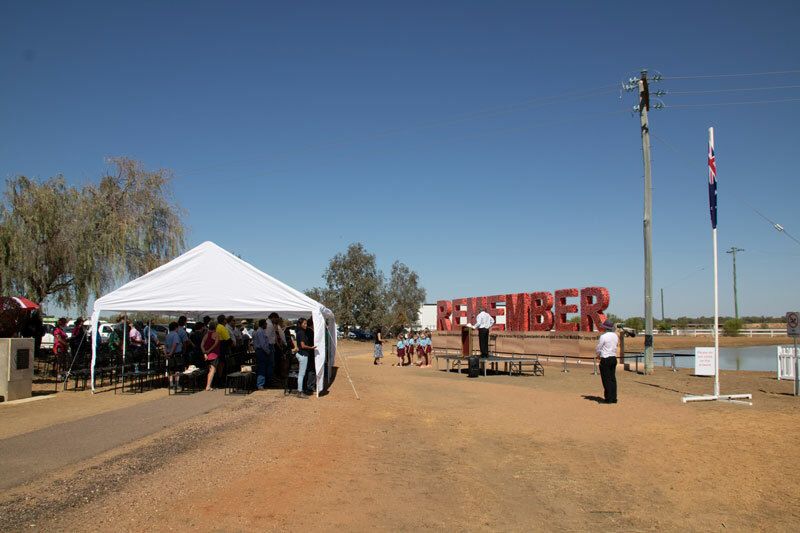 Throughout the 2014 – 2018 Anzac Centenary, communities across Queensland have joined together to create many fitting tributes to those who served during the First World War. The Queensland Government commissioned a statewide art installation, which comprised thousands of poppies made from all over the state. Standing over three meters high and 16 meters long, the Armistice Centenary artwork was a powerful reminder of the importance to remember the service and sacrifice of our servicemen and women. 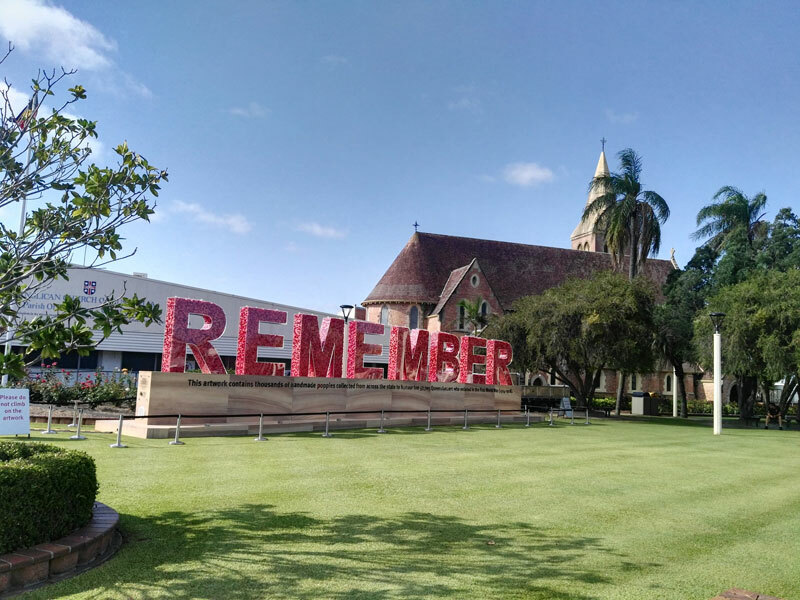 Comprising thousands of paper poppies crafted by Queenslanders across the state at over 300 community workshops, the artwork honored the 57 705 Queenslanders who enlisted in the First World War. 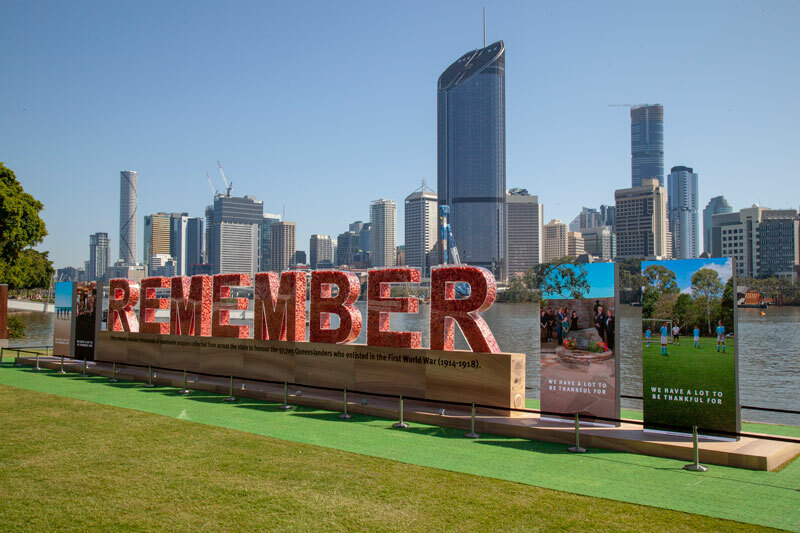 Queenslanders also contributed to the artwork by creating personalised digital poppy tributes which were incorporated into an online virtual reflection pool, and were also displayed during the Armistice Centenary commemorations in Brisbane alongside the final art installation. 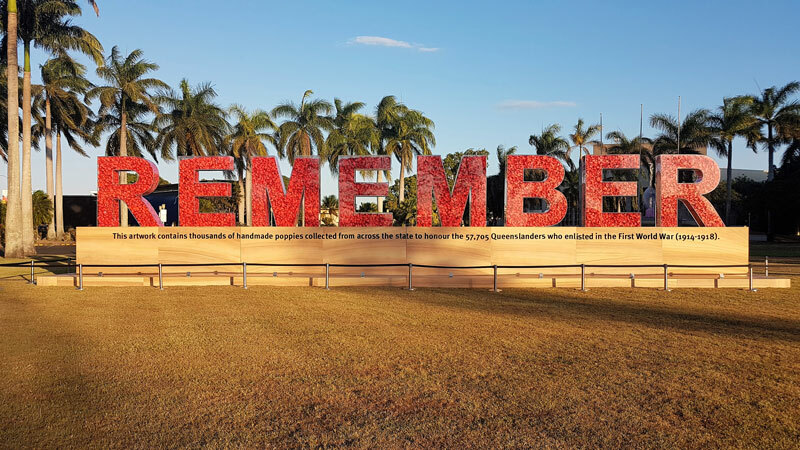 The finished artwork toured to Townsville, Mackay, Longreach, Bundaberg and Brisbane between 6 October and 11 November 2018. 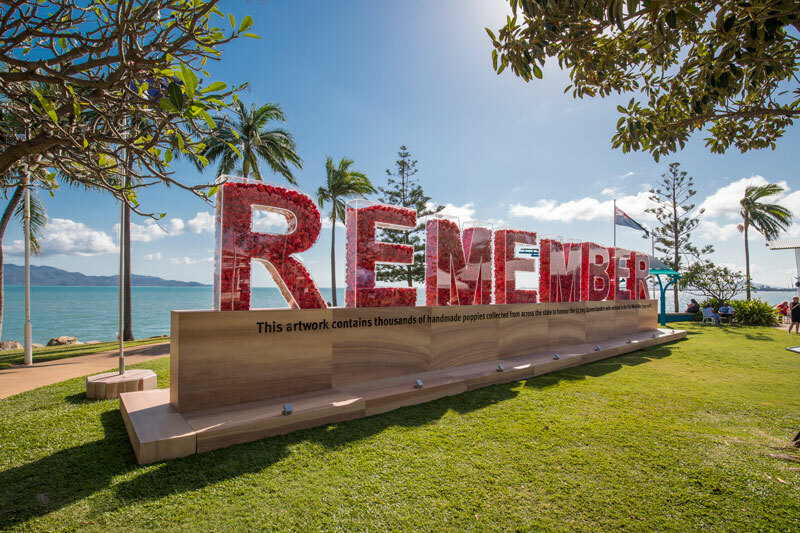 Thousands of people visited the artwork to see the poppies they had made and honour the memory of our Queensland soldiers.